Sumarið 2013 hófst fornleifarannsókn sem miðaði að því að skrá minjar klaustranna fjórtán sem rekin voru á Íslandi á kaþólskum tíma (1000-1550). Ætlunin var að greina ástæður stofnunar hvers klausturs fyrir sig, kanna rekstur þeirra og sögu en ekki síst að finna nýjar vísbendingar um hlutverk þeirra innan íslensks samfélags og rýna í innra starf þeirra með aðferðum fornleifafræðinnar. Stóra markmiðið var að skoða áhrif klaustranna og umsvif í íslensku miðaldasamfélagi. Rannsókninni lauk síðla árs 2017 með útgáfu bókarinnar „Leitin að klaustrunum“ sem Sögufélag gaf út í samstarfi við Þjóðminjasafn Íslands. Bókin hlaut Viðurkenningu Hagþenkis, Menningarverðlaun DV og lenti í 1. sæti í vali bóksala á bestu bók ársins 2017. Þá var bókin tilnefnd til Íslensku bókmenntaverðlaunanna og Fjöruverðlaunanna í flokki fræðirita. Rannsóknin var unnin fyrir fjárframlög frá Rannsóknasjóði Íslands (Rannís), Rannsóknasjóði Háskóla Íslands og samstarfsaðilum. Þeir voru Mark Graham hjá Grampus Heritage and Training Ltd., próf. em. Inger Larsson hjá Stockholms universitet, Per Arvid Åsen grasafræðingur hjá Agder museum og botanisk hage í Kristiansand og Samson B. Harðarson lektor hjá Landbúnaðarháskóla Íslands. Verkefnastjóri var Steinunn Kristjánsdóttir prófessor í fornleifafræði við Háskóla Íslands og Þjóðminjasafn Íslands. Starfsmaður var Vala Gunnarsdóttir safnafræðingur. The project operated from 2013 to 2017. 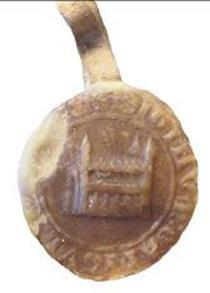 The aim was to investigate Roman-Catholic monasticism in Iceland, with the main emphasis put on the medieval times. The chief question was in what form the standard monastic plans and ideas moved from the more urbanized mainland of Europe to the thinly populated island in the North-Atlantic, Iceland. 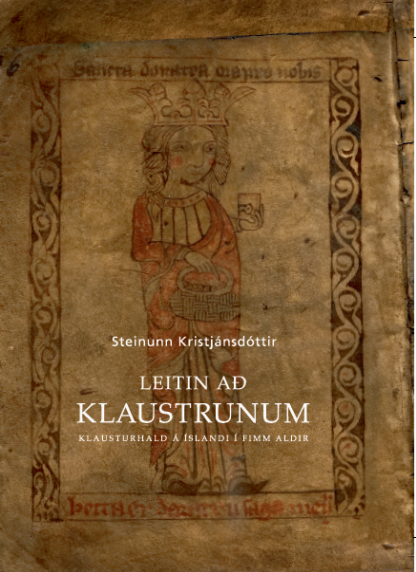 At the same time, the aim was to examine how the monastic institutions affected the medieval society in Iceland. New data was first and foremost collected through surveying, literary examination and recording of relics from the medieval monastic sites. The surveying included geophysical measuring, surface documentation, test pit excavations and analyzing of insects, pollen and seeds. 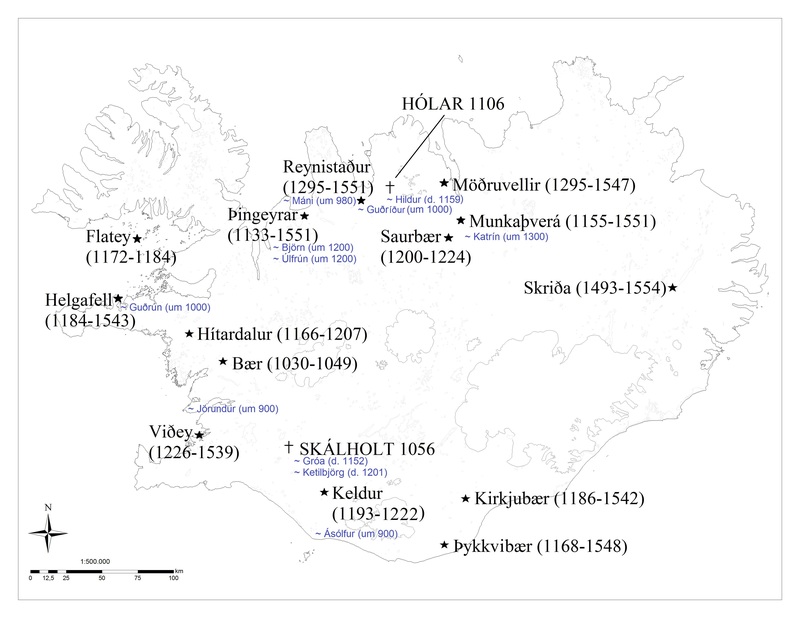 The results were published in a book by Sögufélag in 2017, wherein the history of each of the thirteen monastic institutions operating in medieval Iceland were described. The research was sponsored by The Icelandic Centre of Research (Rannís), The University Research Fund and the partnerships involved. These are Grampus Heritage and Training Ltd., Prof. Em. Inger Larsson at Stockholms University, Per Arvid Åsen botanist at Agder museum og botanisk hage in Kristiansand and Samson B. Harðarson lecturer at the Agricultural University of Iceland. Project manager was Phil.dr. Steinunn Kristjánsdóttir professor of archaeology at University of Iceland and National Museum of Iceland. Assistant was Vala Gunnarsdóttir museologist.